For Mark's final year at the Winston Churchill School, we were back for more musical theatre at the Rhoda McGaw Theatre in Woking. 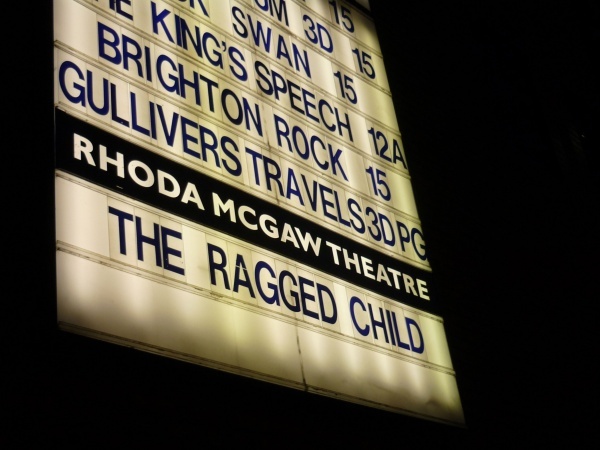 The Ragged Child was "a stark and moving account of child deprivation in the 1850s" - another excellent effort from all involved, but not too many laughs! A few photos taken behind the scenes at the Rhoda McGaw. This year Mark was cast as Leary, the villain of the piece. A thoroughly unpleasant character, spiteful and unrepentent to the end ... just like at home!